Ever since I started blogging just over four and a half years ago now, it has most definitely become an ordinary moment of mine. In fact it is such a part of my everyday life that I couldn’t imagine ever not doing it. My blog has gone from a well loved hobby, a hobby in which I adored being creative and having a little space online just for me, to being a business and one in which I managed to leave my previous career for. I have never been known for my sticking power when it comes to hobbies, but I am thankful every day that I stuck it out and am still loving being part of the blogging community almost five years later. Lately though I have been thinking a lot more about blogging and the direction I should be going in with my blog. There is no denying this has been brought about by the fact that I have been feeling so poorly and overwhelmed recently due to the first trimester of my third pregnancy really taking it out of me. Being freelance isn’t like other jobs, if I don’t work I don’t get paid, it is as simple as that. I haven’t had as much of a chance to write, take photos or generally immerse myself in the blog world as much as I usually do, although of course I am still there to an extent. But it has definitely made me think a lot more about my blog. I am slowly starting to get on top of the deadlines I have going on, but I really want to start picking up my camera and enjoying my blog again. I am not one of these people who can shout about my achievements from the rooftops. I am quite shy deep down and I am certainly not very confident really. I think with blogging there is often an element of people thinking that you are really over confident- how can someone who posts selfies, or writes about themselves, or films videos talking to camera not be? But while I am confident in certain respects, the one thing I lack is feeling confident about myself or my achievements. Sometimes I wish I could promote myself a little more, shout about the fact I have done this or that with my blog, or been featured here, but it is just not me. Of course I do promote my blog and the amazing things that happen through it, but it never sits particularly well with me to constantly reshare or promote them. I always worry people will think I am being arrogant or bigging myself up unnecessarily and that makes me shy and feel awkward. I have had some incredible opportunities through blogging and I am now making a nice income out of it, but I am not someone who will shout about these things, or how much money I earn, or this incredible email I just got. It is just not me at all. But then I wonder whether I should be shouting more about it, do I look ungrateful for not doing it more? The blogging world has changed so much since I started and that is not a bad thing whatsoever, in fact it is a good thing, as there are so many amazing opportunities out there for bloggers. But there is this new wave of constantly self promoting, or sharing endless links on twitter, taking part in comment rings, doing blog tips, or writing about blogging. And I really admire these bloggers who are able to do this, to be that savvy and to share their knowledge with others, there is more than enough space for us to all write about different things or do things in a different way. People like Kerry who writes some really amazing blog tips and shares her fantastic knowledge, or Aby who is so organised and proactive when it comes to promoting her blog. But it just makes me wonder whether I should be doing the same. But that just it isn’t really me, I find it hard. And then I wonder if eventually my daily life and photos of my family will get a bit boring for people to read? I am so proud of my achievements through this blog and sometimes I wonder if I don’t say it enough. I am incredibly proud that this blog is multi award winning, I am over the moon that I get to work on amazing campaigns with brands and I am thankful every single day for the fact that I was able to give up my previous career as a senior travel account manager to work on this blog while being there for my babies while they are young. It really is the dream job for me, I can honestly say that. In fact most of the time it doesn’t really feel like a job at all. I am proud that I have taught myself how to design and develop my blog (or rather my long suffering husband has), I am proud that I went from not even having a clue how to take a photo to having photos all over the walls in my house that I took and that I adore, I am proud that I have been featured in the press and I am amazingly proud of the friendships I have made through blogging too. And that is the thing. I am just one of lots and lots of us doing the same thing in our own different ways. We should definitely be celebrating our achievements more than we do. My amazing friend Alice has just been commissioned to write a regular column for The Telegraph, my friend Lucy is getting photo commissions left, right and center through her beautiful instagram page, my friend Sian has started a business helping bloggers with the techy bits they aren’t sure about, my friend Alison is an incredibly talented writer and one of her posts still pops up on my Facebook every now and again after it went viral last year, my friends Morgana and Fritha used blogging to help start their own amazing online businesses, and just this week my friend Penny gave a talk to a room full of people at the World Travel Market about the influence and success of family travel bloggers, while my friend Lucy went to London with a TWO week old baby and filmed a video for the NHS on Flu jabs with Dr Ranj. (A list when you are a Mum!) I don’t think I left the house for at least a couple of weeks after my daughters were born, let alone going on camera for all to see. Just because they aren’t constantly promoting themselves doesn’t mean that they aren’t incredibly talented women and I wanted to shout about them myself. They are amazing. And these are just a tiny percentage of them- every day I do a little cheer as I see bloggers and friends writing about what they have done, where they have been featured, or who they are working with- there is more than enough space for everyone and it is only growing more and more. It is such an exciting thing to be part of. I really am proud of the campaigns and unique projects I have been a part of and I am proud for my friends too. I don’t know if other bloggers get this, but I get a lot of people tell me I am lucky. And I agree with them completely- I say to my husband how lucky we are every single day. We are lucky to get to work from home, we are lucky to get such amazing opportunities and I know I am so lucky to be able to be at home with my babies while they are young. If I could choose between this and my previous job where I was working ridiculously long hours in an office and being contracted to travel away a week of every month, I would chose this hands down. But while an element of it is luck, about being on the right PR list or being the person a brand thinks of for a particular campaign, it is also really hard work. I, like many, have worked on this blog way more than full time hours give or take every single week for four and a half years. Sometimes it is incredibly hard to switch off, like any job I guess. Plus that isn’t to mention all the things that go on behind the scenes too- the constant networking, editing, promoting, sharing etc. I would hate to paint a portrait that being a blogger is just about getting free stuff, promoting it and being paid for it. It can also be stressful surviving on a freelance lifestyle, some months we make more than enough money and we get to treat ourselves to amazing bonuses like we have just had the time of our life in Florida and treated our girls to gifts and nice restaurants all week, but some months I worry that there won’t be enough. 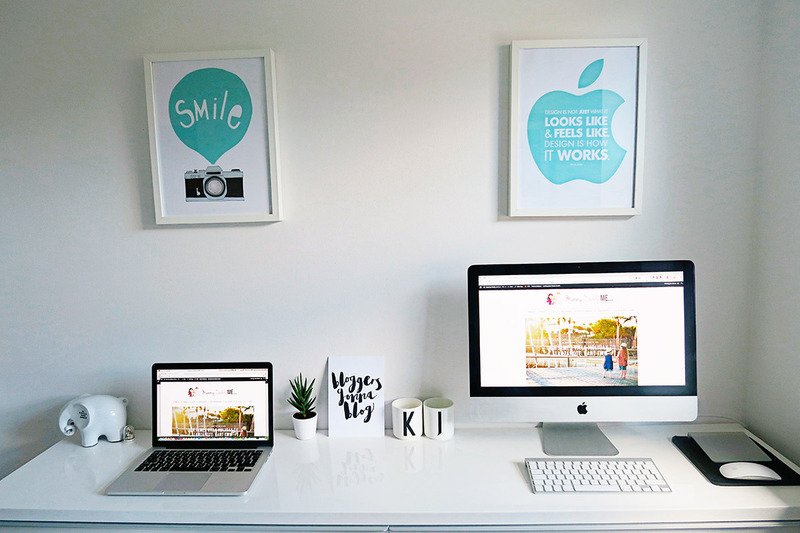 Blogging and earning a living online is really unpredictable. But when I say hard work, hard work is relative, I am not a nurse working long, endless hours to help save peoples lives or a teacher working helping children learn in a primary school. It is and amazing thing to be part of and we are so lucky so I can see why people say that, but like with any job it can have its harder moments. We all work so hard, whatever job we do. I never ever take it for granted, so I hope I never come across that way. I am so thankful. Over the last few weeks I have had to pinch myself at the things my blog has bought myself and my family and I am so proud of that. My blog has been earning a good income for four years, even more so the last year but blogging as a way of earning an income isn’t for everyone and also just cause people don’t talk about what money they make doesn’t mean there aren’t lots of us doing an incredible job of supporting our families via working online. There are some gorgeous blogs who literally just do it as a hobby and a way of being creative, or there are some who are happy to get a couple of lovely opportunities while staying at home and looking after their families. There are some who do it on top of working full time. There are so many different blogs out there for everyone and that is the beauty of blogging. So I am going to take a few moments to celebrate my blog and all those others that I read and love. I don’t write about blogging a lot, but I just felt like I wanted to take a few seconds to feel incredibly proud of my blog, not be shy about it and feel thankful that blogging is such an ordinary moment of mine and so many others. 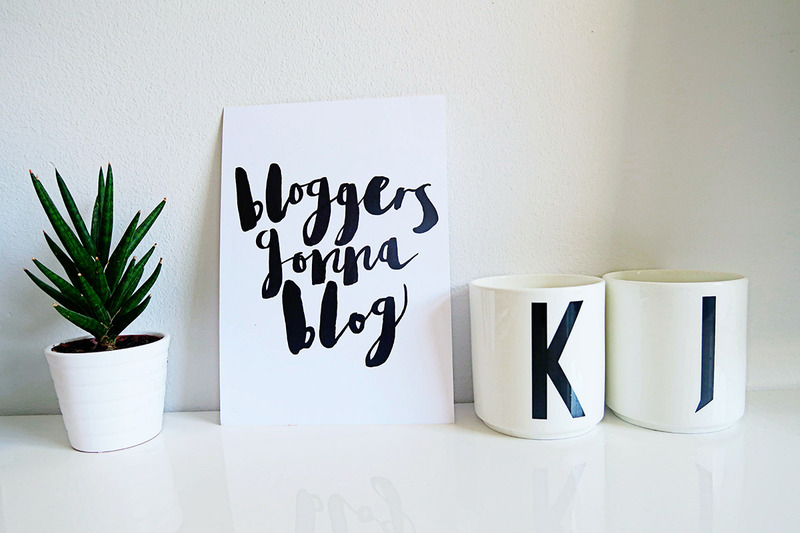 We should definitely be celebrating our blogging achievements even more than we do now. One day the opportunities may run out, or the blogging world may change, but I will still be here writing and taking photos. As ultimately that is why I started. To record the life of our family and my little girls early days. That has and always will be my main focus. Every thing else is just a bonus. A very unexpected, happy, life changing bonus. This is normal service, or at least it should be. Every blogger I know works incredibly hard at what they do, whether purely a hobby blog or because it’s a source of income and we should all be rightly proud of what we do. I think one of the loveliest things about blogging is that there’s not only room for all of us but room for us all to make of blogging what we want and room for that to change. And the benefits can be unexpected too – I know that all the blog writing I did when on maternity leave each time made it easier to remember how to put together some professional thoughts when I went back to work! Blogging doesn’t tell people you have to do it this way or that, so celebrate how it works for you and shout your achievements from the rooftops! So says the no award winning blogger who loves loves loves her one finalist button! It is not the increasing number of sponsored posts/perks (although this does impact the authenticity of your posts) that is going to stop me reading your blog but how negative and ungrateful you seem to have become. And mark my opinion down as trolling or whatever but for the last 3 years I have read your blog and really admired you for all of your hard work and your wonderful life but it’s too frustrating to read posts like this or the endless tweets or Instagram complaints. I wanted to take a couple of minutes to reply to your comment Michelle. I would never accuse you as trolling, you are completely entitled to your opinion, I am just sorry that for whatever reason my actions have made you think this. The reason behind my post was exactly the opposite of the reasons you say above, it was to say ‘I love my blog’ and to say how lucky I am. As I mention in my post and a lot on social media, I know how lucky I am and I genuinely am thankful every single day for the fact I get to stay home with my babies. Yes I work hard, but I even say that hard work is relative and I am not a nurse or a primary school teacher working long hours. There is nothing that makes me different from anyone else, anyone can start a blog and work hard at it, literally any single person, I am not trained in blogging. I know how lucky I am for that. What an awful comment Michelle. Why would you take the time out of your day to write something so horrible, which you know will upset somebody? I think you have read a totally different post to the rest of us. From reading the comments below from everyone else, there is such an out pouring of love for Katie. Everyone here loves her blog and supports her and I find it so sad that you would sit behind a screen and type such nonsense. If you don’t like it, don’t read it. Simple. Michelle, I’m confused. Did you read the same blog post as the rest of us? Some really interesting points here Katie. It’s clear that blogging means a lot to you and I think you strike that balance between being super grateful for all that it has brought you, and not bragging about it. Thank you for mentioning me here, I’m really stunned by how successful my blog has become, as I always see it as a hobby that sits along side my writing/editing career. You are one of the most hardworking parent bloggers I can think of in terms of hours you put in to your blog. It never occurred to me that you might worry that people would think you don’t love blogging or aren’t grateful for the opportunities it he brought. To me, you have a great way of conveying your appreciation for every single experience you document. Definitely agree that there is more than enough space for everyone to be doing their own thing in the blogging world, and one of my favourite things is celebrating all the successes that have come our way as a group – things have changed so much since the blogging days of 2010/11 and that is something for us all to be proud of. I don’t think you need to promote your blog because it’s evident you have such a loyal fan base that will come regardless (I’m including in that) I found you on Instagram and was blown away by your beautiful photography and reading your blog compliments the photography perfectly. Your holiday shots are amazing but so too are the ones of the girls – proving the ordinary moments are just as spectacular as the big grand days. There is such a wide variety of blogging styles & blogging promotion but I think you find something that works and run with it. I’m in awe of so many people I’ve “met” via blogging and I love that there are so many diverse blogs out there & although I’ve only been tapping away two years, I’m proud of what my blog has become. It’s not the most interesting or popular but it’s always there & has helped me in dark days. Such a lovely post hun, it’s so true that there are so many bloggers really working hard and doing great things that you don’t always hear about. But so many people are carving out amazing opportunities and careers for themselves through their online spaces, and that is so inspiring. Maybe people should be shouting it from the rooftops a bit more. Although I’m like you and cringe at the idea of promoting myself! Blogging is so underrated, not for the good stuff it brings but for the hard work and determination that goes into it. What I love about what you’ve achieved, as well as so many others, is the desire to take control of your career and steer it into a direction that works for you. I’m paraphrasing from something I heard at Blogtacular 2014 but the amazing thing about bloggers is how proactive they are – if you don’t know how to do something you find out. It’s also a weirdly dichotomous world in that we talk openly about so many areas of our lives at yet, when it comes to self-promotion, it often feels like a step too far. But we should un-Britishly promote our triumphs as well as the other stuff. Soon you’ll have been blogging for half a decade, that’s soooo Long!! And we’ll done for making it ahh a huge success. It’s a lovely read at every post and it’s clear you’re very very passionate about it. I love my blog but it just started as a hobby, I never in a million years thought it would be going so so long! I don’t think I’d ever be able to give my job up for it as I love it but I do love the happy things the blog has brought, I never expected it to. I absolutely love how blogs can evolve with where we are at in life and the talents it brings out in us! I found this a poso post to read and really think that yes you are lucky and blessed, but its nothing others cant achieve with work, talent and I guess meeting the right people. I appreciate so much the PR opportunities I have been given and its lovely to think that someone like your blog and wants their stuff associated with you and your family. LIke you say hard work and room for all, people need to chill out… If blogging has evolved into a job, then of course your gonna write about how “work” can get a little intense sometimes! I always enjoy reading it and glad I found it! Thanks for the mention hun. I really loved reading this and I think how we all approach blogging depends on where we are with it. As a newer (2 years) blogger I don’t have the exposure/following you have so I feel I have to promote my blog more so people come to read. I feel I balance this by doing extensive promotion of other people’s content too and offering my weekly blogging tips posts to try and give back too. I would love to be in a position where people just come, but I fear without reminding people via social media, they wouldn’t. I truly admire your honestly and all the hard work that you put into your blog. Everyone has their own blogging path to follow but I do use your blog as a benchmark of what is possible if I could keep working hard the next 4 years. You should be very proud of your blog and the opportunities that you and your family have because of all your “team” effort. Big Hug! You’ve done so well Katie! Be proud!! Katie you’ve been the talk of our evening meal the past couple of days with how well you have been able to do and how inspiring you are. I didn’t read the post as in anyway negative more an outpouring of what is in your head and your heart. Blogging will change. The USA is testament to how big it can be, I didn’t even know what a blog was until a year ago and then I picked up the laptop and boom. I started. I still don’t know where it’s going to go. I know what I’d like I just need to devise a method to get there. I think that Michelle was completely entitled to her opinion as you said everyone is entitled to a different opinion. But the thing is if people stop reading because of what you are posting its not your loss but theirs. Keep producing content that you truly love and believe in and you’ll keep the people that give back to you. Fantastic post lovely, I think you certainly do not give yourself enough credit, you work bloody hard. I think it is lovely how you have highlighted some truly inspiring women in your post, to shout for them when maybe they feel they should not. You are so lovely, Katie. What you haven’t mentioned in your post and I think people should know is how tremendously supportive you are of the newcomers, the ‘little people’. Those who get all of five readers to their blog ever week (and one of them’s their mum!). You have boosted me so much over this past year, given me so much confidence, left me so many kind comments and messages. I felt so proud the first time that you let me write for Tots100, when you made me a regular contributor. You have given me more support in blogging than anyone else, I think, which only goes to show how much time and kindness you have invested in me because many people have been generous toward me over the past year. I love your beautiful blog and I’m so proud to call you my friend. Thank you. You should be so proud of yourself, not only for your hard work and your achievements but also for retaining your sense of self – there isn’t a hint of diva about you and I’m not sure that I’d be able to say the same for me had I experienced a tenth of your success! Katie, this is a great post! I am in awe of you as a blogger: You work hard, you write beautifully and you take gorgeous photos. No wonder brands want to work with you as you are just you, and that is perfect. What a lovely post. Its so nice to hear that you appreciate all your blog has brought you. Also I appreciated the fact that you understand that blogging as a way of making a living offers you opportunities that others in more ‘traditional’ roles might not have, such as working from home and being able to do the school run. These might seem like mundane things but as a mother you realise how important they are. I’m a teacher myself and think its great that you recognise that. It’s sad at times that some people feel the need to say such negative things! I’ve been a silent reader for a year or two. I originally started reading your blog when I started my training to become a paediatric nurse. I started reading your blog (as well as a few others) to get an insight into day to day family life as I don’t have children. You are so honest within your posts about your journey as a family. I look forward to reading about your transition to a family of 5. I’m not sure what blog post the other lady (Michelle) read as it’s definitely not the same one we’ve all read. You work just as hard as I do. I could never video, edit and make such lovely videos. Be proud, you have such a lovely blog. It’s one of the first ones I read when I’m on the train home after my 12.5hr shifts. Your blog is a breath of fresh air and a always a pleasure to read. I admire how hard you have worked to achieve what you have, and as a mum to a beautiful three year old daughter, I appreciate phow much of a juggle life can be at times. Just keep doing what you are doing. You should be very proud. Your blog, as I have told you many times before, is the reason I started my own and that is true for so many other bloggers I know. The love for your girls and husband shine through in everything you do and you have always seemed to be entirely grateful and lovely about all that you have, even on the bad days. NO, no and no!! I LOVE the fact that you don’t blog for bloggers and post about ‘what makes a blog a success’ — ‘how to get to number 1 in TOTS’ — ‘How to get a bazillion followers’. Those kind of posts make me tired and I love the fact that your success has not been brought about by those kind of posts. I know just how hard you must work — I’m busting a gut at the moment, trying to juggle my business, being a mama to my boys, a good wife PLUS trying to make my little blog a success. I LOVE that you’ve been able to give up your day job to concentrate fully on your blog. Particularly as you’ve not changed your format or blogged about things that don’t interest you just to make a fast buck or a freebie. At least that’s the impression I get. Work hard and be nice is my motto. Blogging is a very rewarding but all consuming job to have, and one that is very hard to explain. There’s no down time or off time, there’s always another email or tweet, or comment you could reply to or comment to make yourself. It’s a job that could take up every minute of every day and still leave you wishing you had more time! I think it’s perfectly ok to share how overwhelming it is sometimes. Working holidays are wonderful, of course they are, but there is always that pressure to document every second, to share with your readers and followers. That isn’t complaining it’s just a fact of the nature of blogging! Sometimes it can feel like there is more admiration and affection for the under dog, the bloggers who are rising stars, and then there is an element of envy or back lash towards those who are leaders in the field like you. I’ve watched how others who are in the top 5 in their blogging niche if you like, are whispered about, that even though they are setting a new standard of respect and level of pay for that matter, for the blogging community as a whole, their success seems to be resented a teeny bit. It’s the minority that think like that of course, but sometimes those few hurt the most! It’s important to remember as well that as a blogger you are self employed there’s no maternity pay, sick pay, ads run everyday, tweets get sent etc, people forget this is all work! Hard work! You will blog your pregnancy, for us all to enjoy reading, we will follow the journey, want to know when the baby is born, want to see photos etc. Which means you will work every day. And even if you take a day off, I know you will schedule tweets etc because you have to! It’s your livelihood! Blogging is incredibly rewarding, it means you can work from home, work around your children but it’s not always as glamorous as the photos make out. It’s 2am finishes, relying on your family to be part of your work and a constant rolling pressure to attract new readers, appreciate the readers you have and make them happy, giving them a reason to return tomorrow.